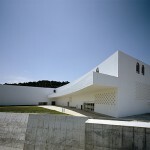 http://www.towadaartcenter.com The Art Center has various facilities: permanent exhibition area, where 22 works which can only be seen here in Towada are displayed; gallery space; cafe; public activity support space; etc. 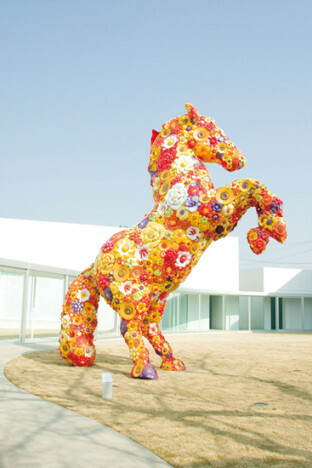 As an open facility for new experiences through art, the Towada Art Center offers exhibitions of commissioned works by 21 artists in and outside Japan, as well as spaces for promoting community art activities and exchanges. The building includes permanent exhibition spaces, gallery spaces, a cafe, a public activity support space, etc. The most striking feature about the Art Center is the independent exhibition rooms as “houses for art,” interspersed throughout the facility and connected to each other by glass corridors. Dividing the spaces has allowed for better customization of the space to each artwork, creating a sense of intimacy and harmony within each room. The idea of interspersion came from the design of Kanchogaidori, where buildings and open spaces intertwine; the city itself organically mingles with art. The building is filled with juxtaposition of large and small, creating a sense of continuity with the dynamism of the street outside, also lined with buildings large and small. This unique design also allows for the placement of outdoor exhibition spaces and event spaces, making it possible for visitors to simultaneously experience indoor and outdoor art. The exhibition spaces have glass openings facing different directions, creating a sense that the artworks are being exhibited towards the city outside as well.